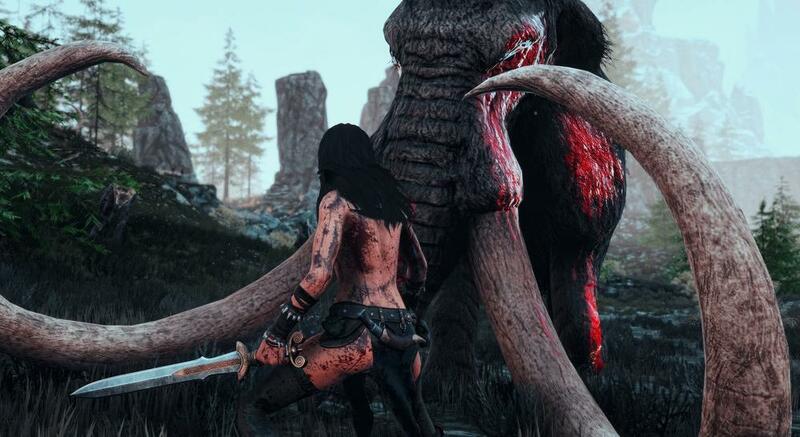 A guide to raiding in Conan Exiles. How to Remove the Bracelet and Quit the World + Boss Location. This guide aims to show newcomers and maybe even veterans the best different methods of raiding people in Conan Exiles, the stats and best combinations. Keep in mind most of these stats and tests were done in singleplayer and may vary from server to server. That being said i have tried some of the combinations on servers without encountering any problems. Orbs and explosives are probably one of the most common ways to raid people and most effective if utilized in the correct way. For this you will need to combine orbs / explosives in order to use their different properties. In Conan Exiles there are 3 different types of orbs and the classic Explosive Jar and i will be detailing them in depth below. Important Note: Every Orb / Explosive Jar after effect lasts 32 seconds that being fire, grease and gas area of effects. The damage is also the same across all tiers of buildings. I have also made a spreadsheet that goes along with this guide. 1 Demon-fire Orb = 1350 Initial Damage - 2867 Full Damage with fire. The Demon-Fire Orb is your go to fire starter for raiding and while it does do abit of damage on it's own its mostly used to be combined with other orbs and ignite them. The Grease Orb is probably one of the most important component to raiding as the its abilty to be stacked and deal extra damage to buildings is essential. Then combined with the Demon-Fire Orb as the igniter, the damage you deal over time will be dependent on how many Grease Orbs you threw before the Demon-Fire Orb was thrown. This means that if you threw 5 Grease Orbs at a wall and then threw the Demon-Fire Orb, you will still deal the initial 1350 damage, but instead of dealing 2867 in total with the fire you will now deal the X amount of grease orbs you threw. (1350+1388*5 = 8290 Damage over 32 sec). Now this is all well and good but what really takes the cake is that you can refresh the 32 second effect with another grease orb so the fire gets refueled again, dealing 6940 damage again as the initial damage does not apply again. Sadly this doesn't mean that the Grease Orb you throw to refuel the fire is gonna count as extra damage as the starting Orbs did. This feature makes it important to balance how many Grease Orbs you stack in the start and how many you follow up with. The Gaseous Orb is the third orb and its purpose is to give a big splash of damage depending on how many orbs you stacked. If thrown onto any fire it will explode and deal around 1320 damage. Now there is a few interactions you can pull off with this. It's actually possible to stack these orbs and then throw a Demon-Fire Orb to make a big explosion with a burst of damage. So if we for example threw 5 Gaseous Orbs at a wall and then threw a Demon-Fire Orb you would get the initial 1350 damage, but also deal the X amount of Gaseous Orbs in damage. (1350+1320*5 = 7950 Damage in a burst). Even so the more common interaction is that you combo this up with Grease and Demon-Fire Orbs. The interaction here is abit weird though as the grease orbs now can act as stacks for the Gaseous Orb. So if we take 5 Grease Orbs and 1 Demon-Fire Orb, light it up and let it burn for those 32 seconds, but now we also apply a Gaseous Orb to the mix at the end. The result will be that the Gaseous Orbs explosion now counts the Grease Orbs added damage 1388, instead of the damage from the Gaseous Orb. (1350+1388*5 = 8290 Damage over 32 sec) + (1388*5 = 6940) = 15230 Damage in total. The Explosive Jar is the explosives the big boys use. It has good amounts of damage and the damage is delivered instantly with a little extra fire damage added in bonus. Just like the Demon-Fire Orb it can also be used as a igniter for the other orbs to be combined with. Orbs are created at a Firebowl Cauldron, but needs to be unlocked by a having a thrall attend the Cauldron and being lvl 10. It's recommended that you get a tier 2 thrall as they reduce the cost by 25%. When combining orbs all you have to do is throw the orbs in the same place or in close proximity, this is the same for stacking the orbs. Remember to right click rather than left click as right clicking will trigger the orb as soon as it comes in contact with a object, instead of it bouncing around. If you are stacking Grease or Gaseous Orbs the highest recommended amount is 12, where you then can throw your Demon-Fire Orb. Stacking up to 13 - 14 is hard to do and if you're not fast enough the first orb effect you threw will disappear. Stacks up to 15 are impossible atleast alone. Orb effects last up to 32 seconds so if you want the most out of your Grease Orb fire stack and want to refuel it, i recommend that you set a timer. When the timer hits 30 seconds you need to throw another Grease Orb onto the fire. If done correctly you will see the fire beginning to go out when your orb is about to hit, therefore refueling the fire at the 32 seconds mark and resetting the timer back to 32 sec. Reminder: Remember you throw at 30 sec but your grease orb will hit the fire at the 32 seconds mark, therefore if you have to throw another it should be on the 62 seconds mark and so on. This is the best way to utilize the damage over time to its utmost, but may be abit hard and will require a little training. So if you aren't comfortable with it you can also just throw at the 25 sec mark and spent a few more Grease Orbs.